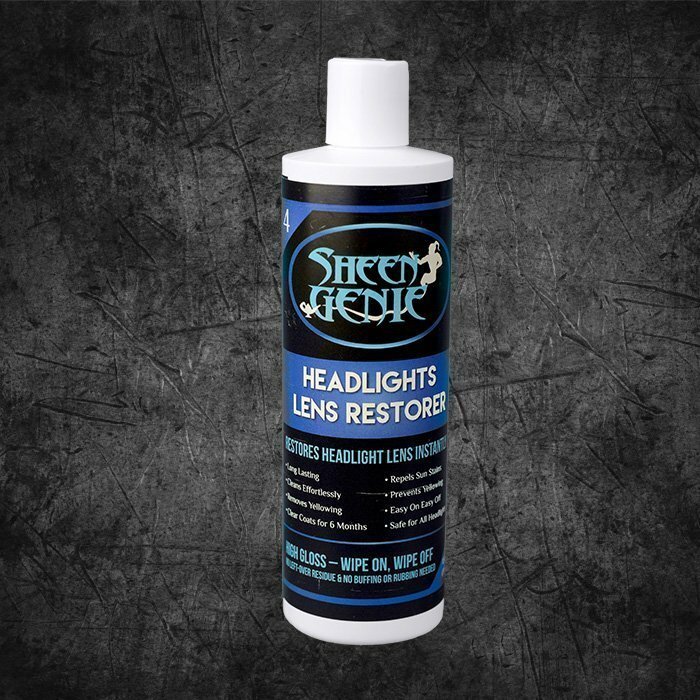 16oz Spray Detailer Wax (1 bottle). 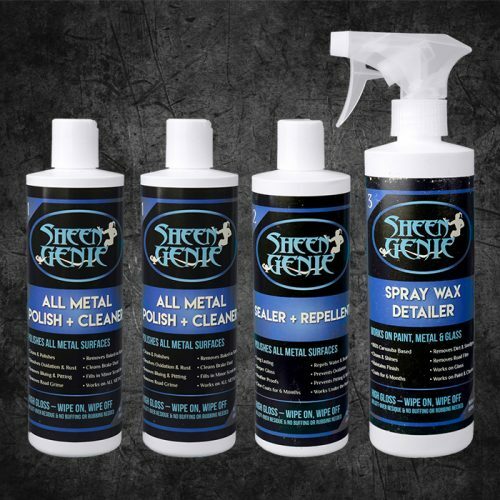 Designed for use on painted, glass, plastic, or fiberglass surfaces. This option is for just the spray detailer + wax only (1 bottle). 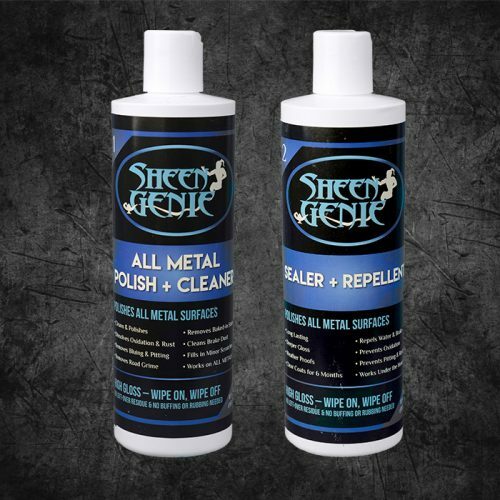 Please be advised: This product is not designed for your metal surfaces, and could potentially leave a slight haze if used on your polished chrome or aluminum. It will NOT harm metal, but it just won’t look very good when you’ve wiped it off. 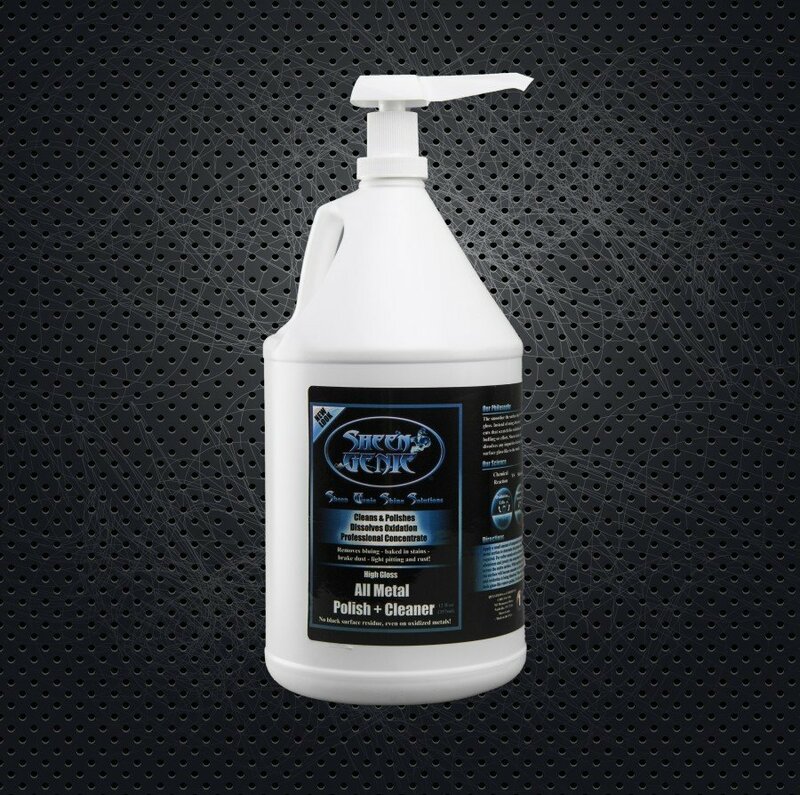 This product is designed for your other painted, plastic, fiberglass, and glass surfaces. 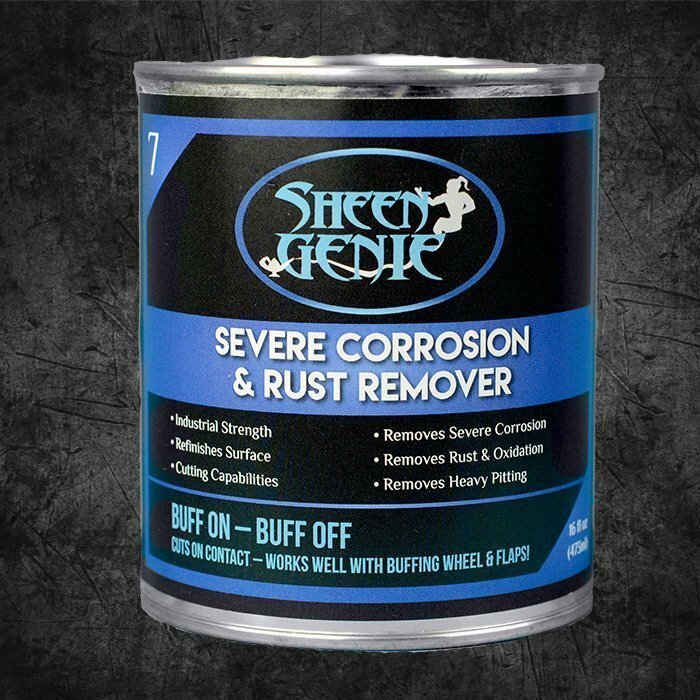 When used on glass and paint, this formula will help water “bead” off the surface. Paint and glass have microscopic pores. The entire philosophy of a glossy surface is a smooth finish. 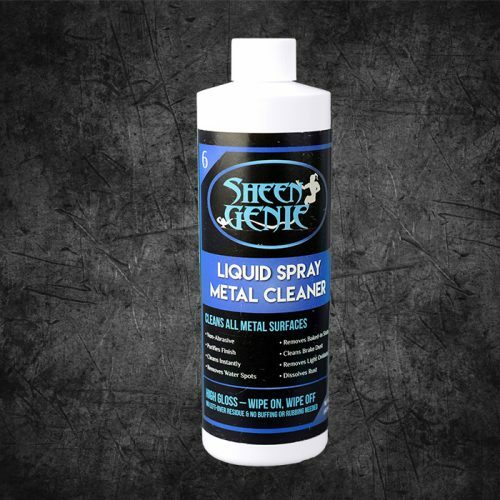 Our quick spray detailer is designed to deep clean the surface, leaving behind a layer of carnauba to fill in the pores. 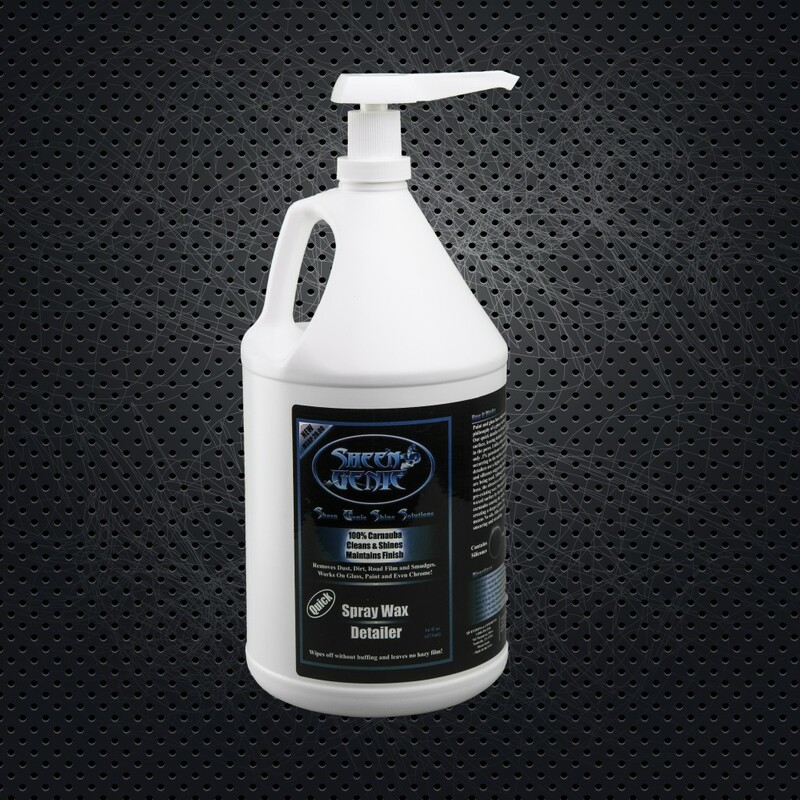 Unlike other quick detailers we use only .1% petroleum to eliminate hazing from occurring to the surface prematurely. Other quick detailers use a higher level of petroleum solvents and silicon suggesting liquid soluble abrasives are being used. 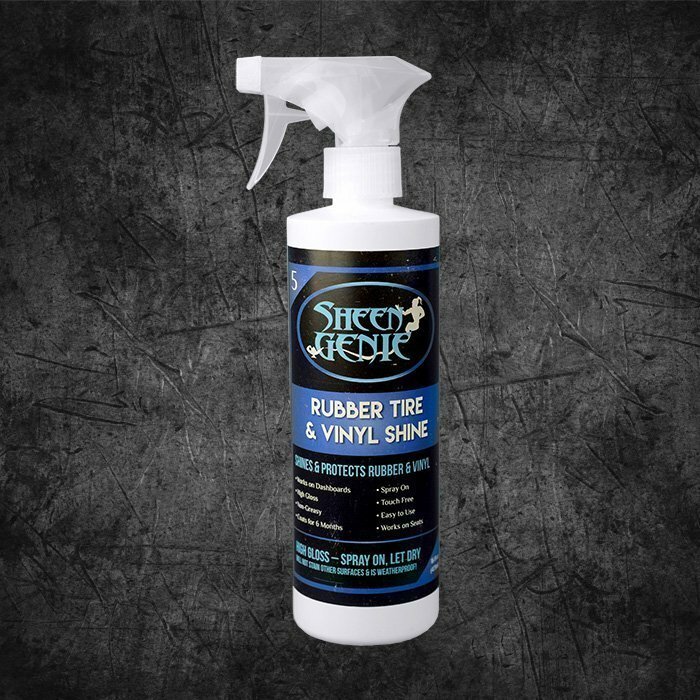 Although dissolved into the oil base, the abrasives will actually remove any pre-­existing wax. 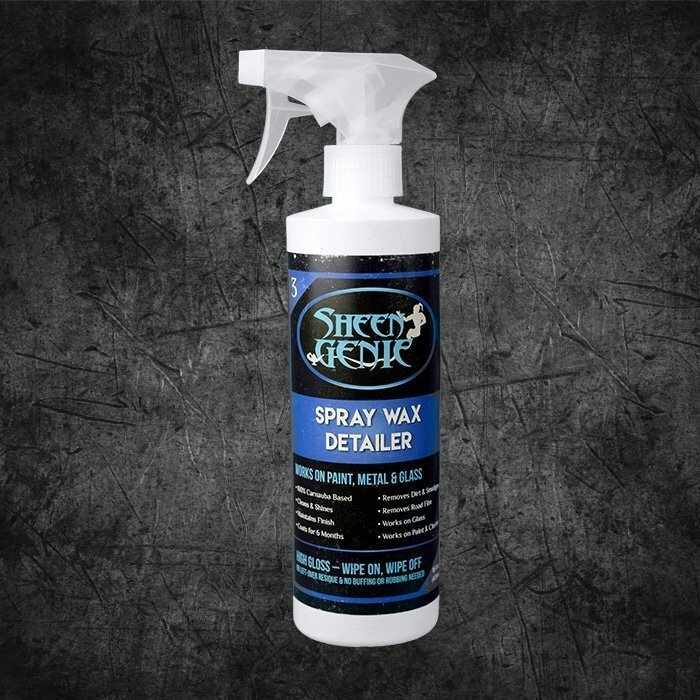 Our quick detailer enhances any waxed surface by leaving an additional layer of carnauba causing the surface to become smoother creating a deeper gloss. Furthermore, no abrasives means no oils. Oils cause premature hazing, smearing and streaking.